The Rabobank Group is a full-range financial service provider. Rabobank’s Global Project Finance Team finances and advises renewable energy projects in Europe the Americas and Asia. In addition to financing on-shore wind projects Rabobank is one of the most experienced and dedicated banks in the financing of off-shore wind projects. Economic Interest Association Croatia's Renewable Energy Sources gathers electricity producers from renewable sources with more than 70% of total installed power. In Croatia, this is also the only renewable energy project we have. In the last 15 years in Croatia, investments in renewable energy sources are almost exclusively carried by the private sector. RINA SERVICES S.p.A. is the RINA company that develops and offers classification inspection conformity auditing testing and certification services. From the energy to shipping infrastructures to agri-food and mining to aerospace sectors we provide our experience and skills to assist organisations to attain maximum quality efficiency safety and sustainability. ROMO Wind is the exclusive provider of the patented iSpin spinner anemometer. The iSpin system is based on ultrasonic technology and measures and monitors wind conditions where it matters – directly at the spinner in front of the rotor. iSpin allows for higher yield lower loads and better performance analysis. Roxtec is developing and manufacturing flexible cable and pipe seals. 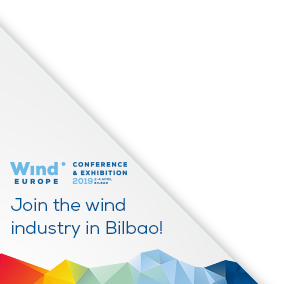 On a global basis the company supplies the entire wind power industry with efficient sealing solutions for maximized uptime and long-term operational reliability. Roxtec seals cover the needs of owners designers and contractors in onshore offshore and grid connection projects.